May. 29, 2017 10:43 a.m. The West Coast basked in Sunday’s warm sunshine while enhancing local salmon populations. 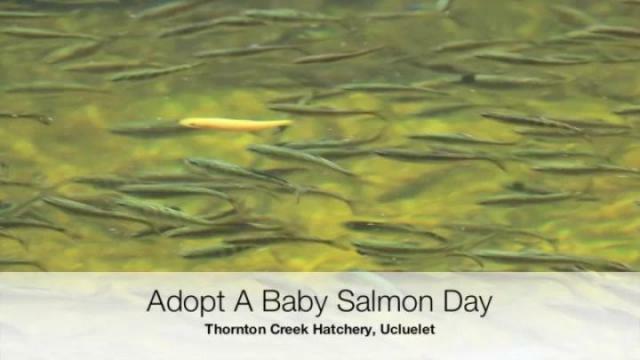 A big turnout of excited locals spawned to the Thornton Creek Hatchery’s Adopt a Baby Salmon Event in Ucluelet where roughly 5,000 Chinook fry were released into the wild. Carol Sedgwick of the Thornton Enhancement Society was thrilled to see so many West Coasters participate in the family-fun event by carrying fry from the hatchery to a nearby stream while learning about how the hatchery helps create healthy salmon stocks. “This is an important event for the hatchery because it helps educate the general public on what we do here and why having our hatchery is important and why they should support it,” she said. Hatchery manager Dave Hurwitz was particularly excited to see so many young locals enjoying the event and helping to release baby fish into the wild. 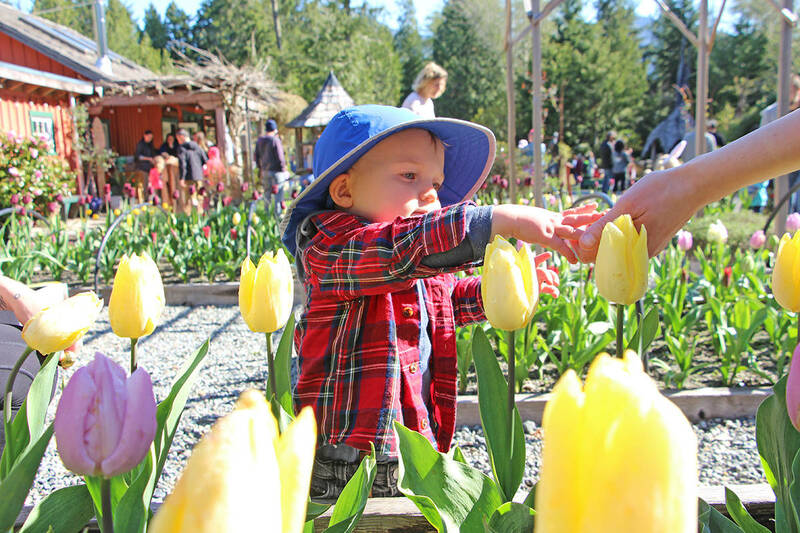 Ucluelet local Katherine Loiselle was delighted with her first Adopt a Baby Salmon Day experience. “I came here for some good West Coast style fun with the kids,” she told the Westerly. Hurwitz said the fry released on Sunday had hatched in late October and grown to roughly five grams before being sent on their way. “We try and emulate nature in everything we do at the hatchery and this is the time of the year when wild Chinook would be starting to emerge from their natal streams and start that very ominous migration that they’re going to make up towards Alaska for the next two to five years,” he said. The event saw roughly 5,000 Chinook fry released and Hurwitz said a total of about 100,000 will be released from the hatchery over the next eight days. He added other baby fish will start their journeys from West Coast sites the hatchery helps operate, including a chinook system in Toquaht River and chum systems at Twin Rivers and Salmon Creek. “Without the enhancement work that we do, in particular working with our partners at the Tofino Hatchery, some of the Chinook runs would probably be extinct right now,” he said. The hatchery feeds off local support and anyone interested in assisting local salmon enhancement efforts should reach out to 250-726-7566.